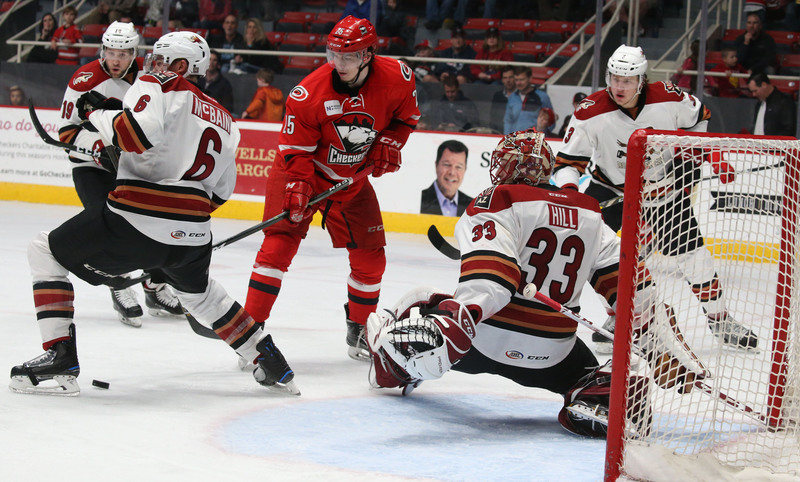 A goal in the final seconds of overtime Sunday afternoon handed the Roadrunners their second-straight loss, falling 2-1 to the Charlotte Checkers at the Bojangles’ Coliseum. Tucson finished their two-game trip to North Carolina earning one point in the standings, the optimistic aspect of a rather bleak pair of games was the fact that they did not leave empty handed. Adin Hill got the call in net Sunday, and was vehemently tested throughout the affair, facing 36 shots from Charlotte sticks. The Roadrunners, though outshot 12-3 in the opening frame, took a 1-0 lead in the late stages of the first period when Anthony Duclair corralled a loose puck from a pass deflected in front of Charlotte’s net, beating Daniel Altshuller to register the first American Hockey League goal of his career. Charlotte’s Valentin Zykov tied the game with 37 seconds left to play in the middle frame when he deflected a point shot past Adin Hill, who was playing an extremely stellar game. Tucson’s third period was the team’s best, as they outshot the Checkers 12-4, but were unable to find the go-ahead goal. Tied after 60 minutes, the Roadrunners entered overtime for the 11th time this season. They came into the day with a 2-4 mark during the extra frame. The Roadrunners generated multiple opportunities, and even worked with a power play, but Charlotte’s Lucas Wallmark sealed the deal when he buried a shot from the top of Adin Hill’s crease with four seconds left. 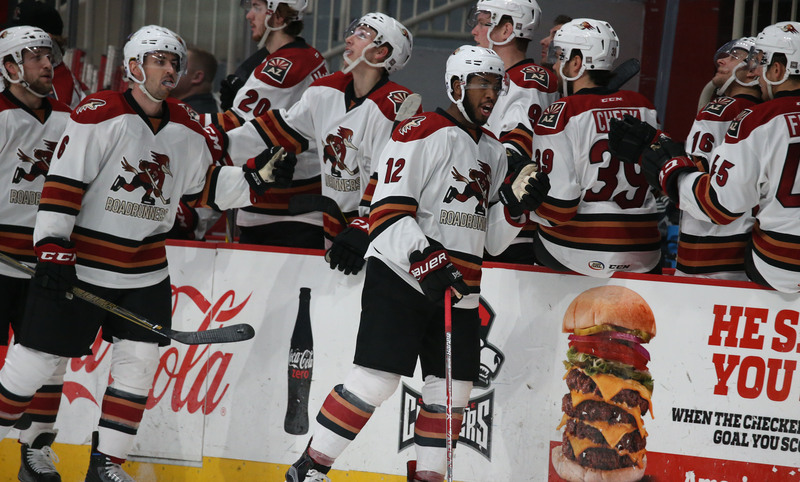 Anthony Duclair (1G), Chris Mueller (1A), and Jamie McBain (1A) led all Roadrunners players in points scored (1), Anthony Duclair and Laurent Dauphin in shots registered (4). Adin Hill made 34 saves in the overtime loss. The Roadrunners now return home for a three-game set against the San Diego Gulls at Tucson Arena, the first of which is scheduled for Wednesday night at 7:05 PM.